Desalting Sea Water is an important mission in areas with shortage of sweet water. Our engineering Team are providing sea water desalination systems with Spiral Wound membrane modules and “special kind of disc called “DISK” membrane modules. Spiral Wound systems are provided for larger systems (> 200 m³/d) were the pre-treatment of the raw water can be efficiently managed and controlled. The special DISK Modules Systems are recommended for remote areas and for camps as well as for removable installations. Because of the open channel architecture DISK Systems are able to cope with high Silt Density Index (SDI) values without an excessive pre-treatment. All systems can be equipped with energy recovery units to reduce the energy consumption from 6 - 7 kWh/m³ to about 3 – 4 kWh/m³. The concept of modular construction permits a wide range of capacity without the loss of advantage in reliability. 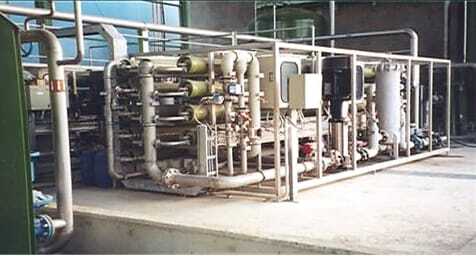 Due to the modular concept all systems can be tailor made designed and equipped with pumps, membranes and instruments as well as with a computer control system to the requests of the customer. 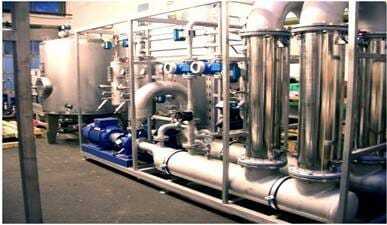 Pacific seawater desalination systems are reliable and fully automatic units, which serve process or drinking water all over the world. 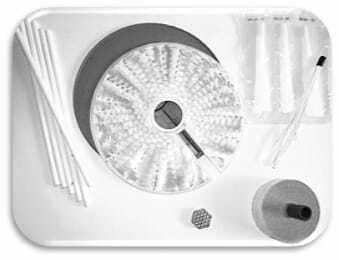 They are constructed with resistant materials and designed to the customer’s needs. The range goes from small semi-automatic units up to high automatic systems, which contain a huge amount of measuring and control devices. In many other applications beside of freshwater it is often necessary to reduce or even remove completely the salt content. In the field of oil production, for example, the salt content is removed from the crude oil in order to obtain high quality of oil to achieve a higher market price. Our team is available for this purpose and for many other industrial applications with various desalination processes at your disposal.